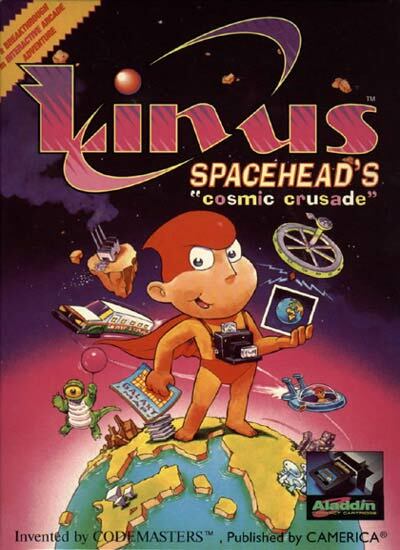 Cosmic (Linus in the NES version) is an alien from the planet Linoleum who crashed into the legendary planet Earth. Expecting a hero's welcome, Cosmic soon found his fellow Linomen were skeptical of the existence of the so-called "planet Earth" and decides to return to it, this time with a camera. However, he is flat on the planets' currency, Linobucks, and must deal across the planet to get a new cosmic car and a camera. In his adventures, Cosmic deals himself out of Linoleum (including using a fake ID for Larry Flint to compete in a bumper car contest), quash a robot revolution in Detroitica and gets gas from an abandoned space station.